Alice arrives to Hart’s Crossing, in the wild foothills of turn of the century Alberta, a girl of no more than fourteen, to live with her aunt following her father’s untimely death. There she will find love and heartbreak, and come to understand the darkness that lies in the hearts of others. For all is not as it seems at Hart’s Crossing. There is the stern and forbidding Andrew Hart, whose countenance strikes fear in Alice and who is hiding something terrible. But even Aunt Muriel and Jack, her love, are keeping their own secrets. When they are revealed it is Alice who will pay the price. For she will find it is impossible to leave Hart’s Crossing. It is some time after the channel vanishes—the ferry and the tiny room where Morris Loverne has just been overwhelmed gone with it —before I can find it in myself to move again. I feel adrift. Events have conspired again to leave me alone, with no one I can turn to. Though I can no longer trust Morris—he is a creature of the Seeker and a Society agent, after all—his familiarity, our shared history, was a comfort to me. There was something like trust there, no matter how illusory it might have been. He was a friend once, however false he proved to be. Those are the only kind I have. How pitiful it all seems now. The illusion of trust. That is all I have—illusions and lies. Even my body is not my own. My mind seems less and less so with each passing day. Especially now, as I am reeling from the aftereffects of the transfer. My hands are shaking and my legs are trembling. It takes all my effort to keep my feet under me. I have to close my eyes against the sun, painfully vivid against the cloudless blue sky. My head aches. Everything hurts, actually, and, as I take a first tentative step, I collapse onto the rocks. A swirl of thoughts and colors assaults me. I try to blink them back, to no avail. Somewhere, lurking behind this internal cacophony, lies Aeida, waiting for his chance to take control. He is still so dangerous. No matter that he is not what he was, this is still his body. A terrible coughing fit assaults me, bruising my lungs. I don’t know if I can survive another crossing, not in my current state. It was never like this before. But I was never like this before either. This remade mind, stolen and tamped, was not intended to be sent across the channels. It was supposed to stay lost in a universe known only to the Watchers’ Order and myself. If I am to restore myself to my body, I will have to attempt another crossing, especially now that I am here in another lost universe. It is inevitable. The thought terrifies me. Will entropy work further upon me each time, until there is nothing left of me and Aeida but a twitching mass of limbs? That thought is almost as disturbing as those I have about what has become of my body. I imagine it, hidden somewhere in the endless universes, suffering under whatever tortures Molijc can devise. He will not win, I tell myself, as I work to steady my breathing and still my body. I will not allow it. The Seeker has asked me to become his agent for the Society, or whatever faction of the Travelers he serves, and foment revolt within the ranks of the Regents. I have no doubt I will have to account for my failure to do so someday, but hopefully when I next stand before him, it will by my own eyes that meet his terrible ones. I do not have the luxury of worrying about him. My time is short; I can see that clearly now. It is only a matter of time before Aeida gains command or this constructed mind collapses in on itself and neither of us survives in any form. I must restore myself before that happens. I must destroy Molijc and end the tyranny of his faith before that comes to pass. I don’t recall the exact details of my return to Hart’s Crossing. It was after the accident, that much is certain, but beyond that nothing is. My memory is troubled, whether from that incident, or some other that followed. This uncertainty worries me, on the occasions when my thoughts drift to those days, though I try not to allow them to. That is a futile struggle when I find myself unable to leave Hart’s Crossing. So much of the past is still alive for me in this place, for it cannot die. Hart’s Crossing was once my home, a place where I loved and was loved in return, but no longer. Now it is my prison, a place where it seems I am doomed to remain for all the time that is left to me, embittered against my captors and hated and feared by them in equal measure. Such a cruel twist of fate that it should come to this end, after such a beautiful beginning. I cannot account for it, but then my memory, since the accident, is not what it was. My days now are spent hiding from those I once welcomed with laughter and delight. I lurk in the bedrooms when everyone else is downstairs taking their meals, or whiling away an evening at cards. Only at night, when they are asleep, do I dare to descend, stalking the parlor and the kitchen like a cat after a mouse. Sometimes the floors creak at my passage, or I brush against some book sending it to the floor, announcing my presence for all to hear. In those moments I flee to the cellar or the attic, if I am able, and remain until they leave me in peace. Clive Hestin is the lawman on her trail. 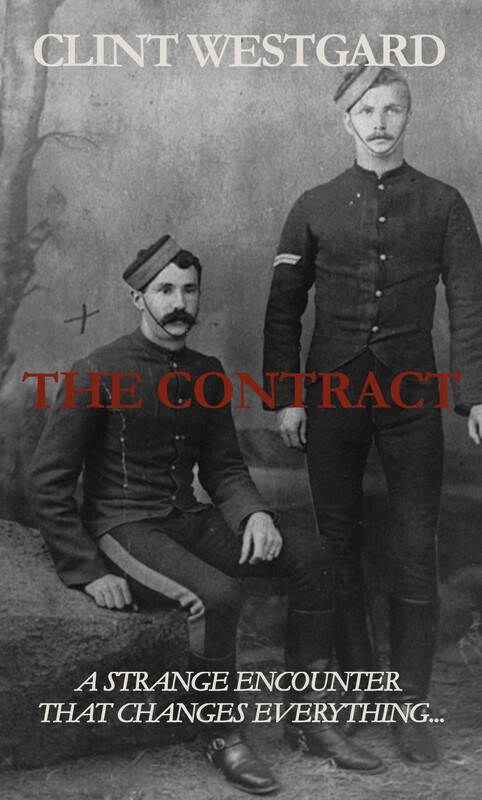 He is a Northwest Mounted Police constable, banished to a lawless frontier town for refusing to look the other way on the crimes of his fellow officers. Now he has to track down Holly and Morris or risk being drummed out of the force forever. Nothing will stop him from seeing justice done. Nothing except, perhaps, Holly Amos. Inspector Archibald Constant Cumberland of the Northwest Mounted Police establishes Fort McGregor at the confluence of two rivers. His mission is simple: keep peace with the Blackfoot Nation and fend off whiskey traders. But life at Fort McGregor is rarely simple. His own men plot to betray him and soon he is fighting for control of the fort and his life. When they begin talking about seeing a ghost, he refuses to believe them. But he will have his own encounter with the impossible creature and it will change everything. They hit the payroll, catching them in a crossfire as they came into Horseshoe Canyon on their way to pay the miners at the Atlas Coal Mine in Wayne. 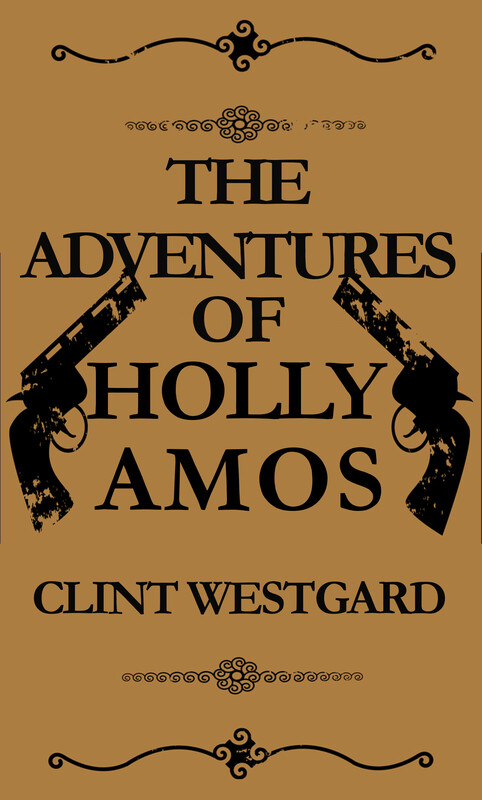 There were only two guns protecting it, and Morris Danforth and Holly Amos picked one off each from their perches high across the canyon. Clean shots both, right through the chest. The gunfire reverberated around the canyon, sounding almost as though it were coming up behind them. The two men leading the packhorses tried to flee, but they shot the horses out from under them. If the Atlas Coal men survived their falls, Holly and Morris did not see. They were too busy scrambling to their own mounts to catch up with the fleeing payroll. That they did, intercepting the stampeding horses before they could scamper up the narrow and winding trail that led from the canyon to the plains above. When they had calmed the panicked animals, they left the canyon behind, heading up into the hills to the north, where they had a camp set up. There were no trees there, just wild prairie, but the hills hid them well enough from anyone passing through on the way to Wayne. The road was little traveled, except by the Atlas Coal Company men, and it would be a day or two—if they were lucky—before anyone chanced upon the ambushed payroll. Time enough for them to rest and be gone from here. Holly saw to the animals, taking them to a nearby slough for water and putting them in hobbles so they could rest and eat. Morris paid no mind to the animals or to her. He was in a frenzy of delight as he counted out the well-creased bills and coins—over two hundred fifty dollars’ worth. He let out a whoop and pulled her in for a kiss. “No more worries, Morris honey,” Holly said, as she slipped away from his grasp. Holly set about to making some dinner for them both, opening tins of beans and divvying up the pemmican they had. They had the beans cold, not wanting to risk a fire, and washed them down with what remained of the rotgut they had exchanged with the Indians by Fort Macleod for the pemmican and some rancid buffalo meat. Morris had spent the following week muttering about that, promising to return south and find those bastards and see that they got theirs. Holly had learned long ago not to say anything when Morris got some damned foolish idea in his head, for it would turn his ire toward her. Just as when he drained the bottle of whiskey and found himself in an amorous mood, she knew enough not to point out that they needed to be going and putting some distance between them and the dead Atlas Coal men. Fort McGregor, I am proud to record here, has been firmly established. I have already written my report to that effect and it is on its way to Superintendent Perry at Fort Macleod. We finished construction two days ago, and the men who were brought to help in the building have been sent on their way, along with my report. Only ten men now remain: myself, the eight constables, and the commissioned doctor, John Cabbot. All of them are good men, in my judgment, an absolute necessity, for we are far from help out here on these lonely plains. Four of them fought alongside me in Riel Rebellion, so I know they are battletested. Doctor Cabbot is newly commissioned, but he was trained at McGill and seems a competent man. He was raised in St. Paul, Minnesota, and tells me he spent some time in Deadwood and some other of the wilder environs of the American plains, so he understands well what our circumstances will be. The other four constables are new recruits I chose from the latest batch to arrive from Ontario. I had some time training with them in Fort Macleod, with Superintendent Perry granting me my choice of the new crop, and I am confident I have selected the finest among them. Our purpose is to keep the peace between the Indians of this region, members of the Blackfoot and Cree Nations, and the whiskey traders who have lately come into this territory, having been chased from the Cypress Hills and the Fort Macleod. After the troubles that have consumed the territories in these last years, culminating in Riel’s second revolt, the Superintendent is taking no chances. The last Commissioner of the Mounted Police was replaced for his failures around the rebellion and the new Commissioner wants to see no such mistakes repeated. We are to be on guard for any such troubles that might arise. The fort itself is located at the confluence of the South Saskatchewan and the Red Deer rivers, a largely desolate section of the Northwest Territories. It is, as yet, uninhabited, except for the aforementioned Indian nations and the whiskey traders. The nearest forts are Calgary to the west and Battleford to the east. 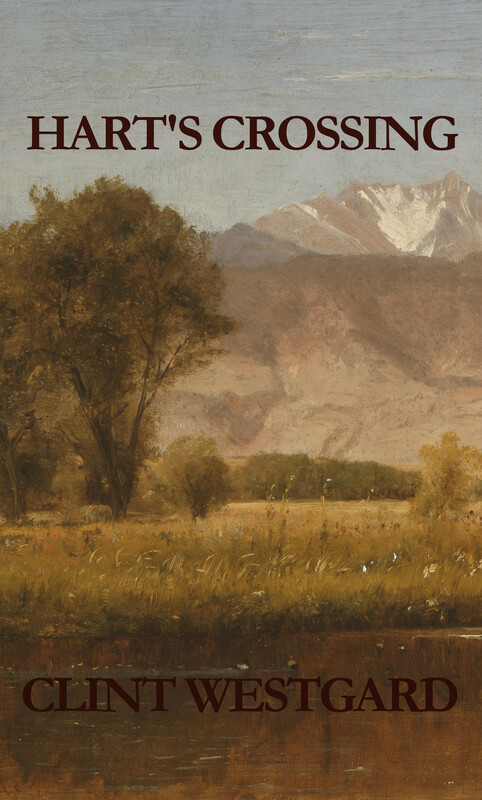 There are a few settlements to the north and east, but to the west and south there is nothing but ranching land. The Blackfoot and the Cree are to be confined to their reserves, as per the terms of the treaty they signed, but the Blackfoot have lately been ignoring those terms, the result of the failures of the agent assigned to them by the government. His name is Harold Groves, and he is a singularly useless man. The Indians do not trust him. I can only hope they will come to place their trust in my men and in me. A dead man of no family or account is what Gahryll, Chief Magister of Tson, sees when the corpse of an Enir youth is brought to the Magisterium. But Magister Mihuibel sees something else: a conspiracy involving false adepts practicing an outlawed form of alkemya. Against his better instincts Gahryll authorizes an investigation that draws both Magisters into the seamy underbelly of Tson where the rich and powerful prey upon the desperate. When the inquiry implicates one of the most important families in the Realm of Craitol in forbidden practices and false alkemya, their positions and ranks will be threatened. But that is only the beginning. For the killer will stop at nothing to ensure his secrets remain hidden and Gahryll is brought face to face with the unspeakable power of alkemya that has been unleashed. It forces him to make a choice. Will he risk everything to fight for justice in a realm ruled where rank and wealth are all that matter? 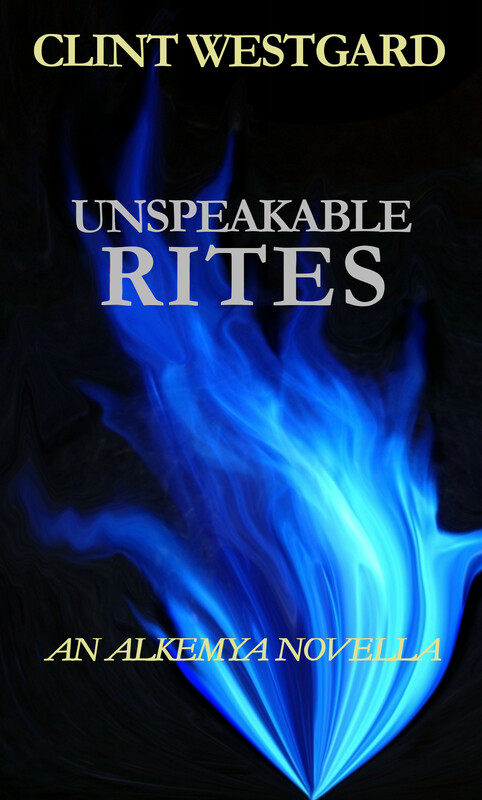 Set in the same universe as The Shadow Men Trilogy, Unspeakable Rites, further explores the nature of alkemya, its terrible power, and the heavy price paid for its use. Daniel Archibald Cumberland is adrift and purposeless, with neither a past or future to cling to. That is until he comes across a story of a lost NWMP fort and the mad officer responsible for its terrible fate. An officer named Cumberland, who may be his ancestor. Discovering the truth will consume him. His father denies any connection, but he is hiding a terrible secret. Even he doesn’t know what Daniel will discover when he goes in search of answers. 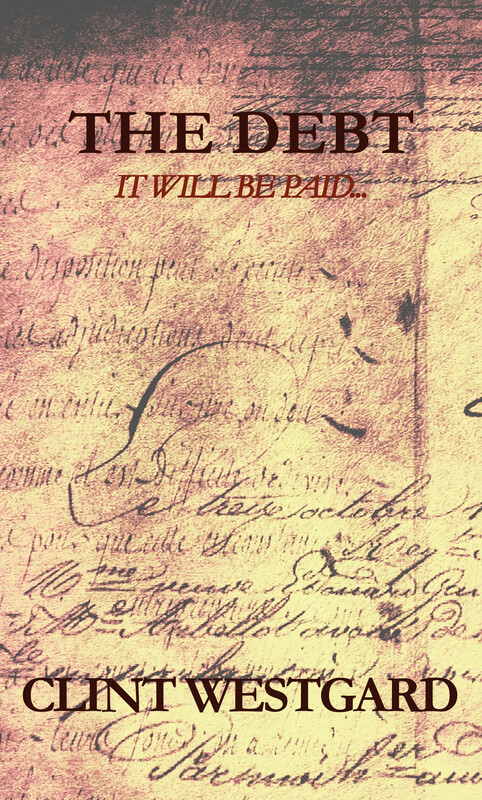 For there is a debt, long agreed to. And someone, or something, will see that it is paid. The storm swept through the city of Tson in the middle of the night as most everyone slept, leaving in its calamitous path a sea of fallen branches, and not a few fallen trees, along with a seemingly endless amount of unidentifiable refuse, mostly stolen from shacks in the poorest quarters. Many of those did not survive the tempest and the next morning the streets of these quarters were filled with those who had been left homeless. Mixed in amongst all this detritus on one street near the city wall was the body of a young man. The local Magistery discovered it on their patrols of the neighborhood and had the body taken to the central mortuary. Because of the youth’s shade, the Magistery notified the Chaziqs of the Enir Quarter in the hopes that they would know if one of their community had gone missing. Dutifully, the four men put on their finest robes and made their way to the central mortuary to look upon the body, all of them declaring that they did not know the man and that he was not from their quarter. Chief Magister Gahryll a Tyranil frowned and pursed his lips. He ran a distracted hand over his head and the close-cropped hair there, a habit he had formed once he had started going bald several years before. Each time he did it, he was left annoyed at the fact there was less and less to pass his hand through, to say nothing of the fact that what remained was turning grey. All artifacts of his advancing years, but not so advanced yet, as he never failed to remind himself. He forced his thoughts back to the matter at hand. There were not many Enir in Tson, so it was not unusual to expect the Chaziqs to know the majority of them. It was strange as well that no word had gone among their people of someone missing a son or a brother. Reluctantly, or so it seemed to Gahryll, the Chaziqs agreed to this request. He did not give much thought to their hesitation. It was just a dead itinerant after all, and an Enir at that, hardly worth wasting any thought over. There were more pressing concerns at hand. The Golden Veil had recently returned from beneath the smoldering ruins they had left ten years before, striking at the Gver of Lastl during the Gver’s Council in Cratiol. Rumors of their resurrection had gone wild throughout the Realm of Craitol, no doubt attracting disaffected nobles of rank to their banner in every city and town. With the coming war against the Shadow Men bringing the absence of Gver Hythel and his finest cohorts of men from Tson, malcontents like those in Veil would see an opportunity to strike, which meant that Magistery would need to be watchful. Something like this death of a youth of no account could only distract from their true duty, to protect the city. No word came back from the Chaziqs, and Gahryll had his assistant Ducaryh—a man of Kragian extraction, but of unquestionable competence—arrange to have the body put on display in the public room of the mortuary where anyone in the city could look upon it. The dead displayed there were sometimes identified and claimed, but as most came from the vagrant classes—prostitutes and homeless, thieves and murderers, or the poorest of the Realm, cast from the countryside into the city in the vain hope of shaping a new life—this was exceedingly rare. The youth was evidently one of these sorts, with no kin looking for him, for in the three days that his body was displayed no one stepped forward to claim it. While this was ongoing, Gahryll ordered a cursory investigation be conducted by one of the Magisters. The man assigned to the task, Mihiubel a Jorhkah, was extremely thorough, though, and when he brought his report to Gahryll, he indicated his belief that the youth had died at the hands of another and that further investigation was warranted. Gahryll nodded. It was all very curious and he could see why Mihiubel was drawn to the case, but in the end he could see no reason to pursue the matter with so many other concerns at hand. If the youth had been murdered, as the Magister believed, there was little to be done about it. Not with the Enir Quarter refusing to help and no witnesses to the crime, or obvious suspects. The Enir punish their own, he told himself, and that seemed as satisfactory an explanation as any. The youth had crossed someone, perhaps at the academy, perhaps elsewhere, and had paid the price. With no one to claim the body after four days on display, Gahryll sent word to the Chaziqs to dispose of the corpse as per their customs. The Enir buried their dead and presumably would want to see this one interred, lest they anger their ancestors. It was Mihiubel who brought word that the Chaziqs had refused to honor the body. “Well have it burned then,” Gahryll said, with a shake of his head. “What is that?” Gahryll said, his mind already on the papers Ducaryh had brought him to sign. Orders and reports and messages. There was so much to attend to and it was already afternoon. “Perhaps he has been playing at alkemya,” Mihiubel said. That did get Gahryhll’s attention. An Enir practicing alkemya was unheard of. They abhorred the art. It was condemned by their ceinobytes and cursed by their ancestors. Any Enir who did so would know he was crossing to a realm from which there was no return. He would be an Enir no longer. Gahryll also knew that no Council Adepts would ever train an Enir. There was only one kind of alkemyst who would dare to, and the Chief Magister thought he had done with them long ago. Apparently not, for it seemed there were Desecrators in Tson. Desecrators and the Veil. Was it ten years ago? No, then he would be in Haigah Pass watching the best of his generation perish. He shook his head, lost in the thought, before looking up at Mihiubel. Mihiubel nodded and with a sigh of annoyance Gahryll rose to join him.